In her follow-up to "Centerpieces 101", Patty Sorell works "upward" in her designs for table and floor decor. During the course of this DVD, Patty showcases over a dozen different arrangement concepts as well as numerous embellishment techniques which are sure to add style (as well as profits) to your work. 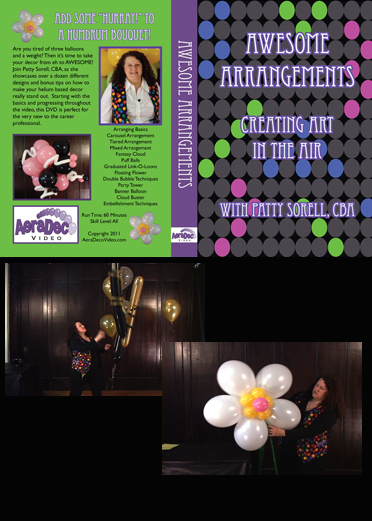 This video is perfect for professionals at all levels, so join Patty and take your arrangements from "eh" to "AWESOME!"